Moroccanoil Extra Volume Shampoo has a lightweight and volumising formula infused with Tilicine and other ingredients designed to penetrate the hair and plump up the cuticle from the inside out. It provides shine, manageability and movement without weighing the hair down. Recommended for fine or limp hair. 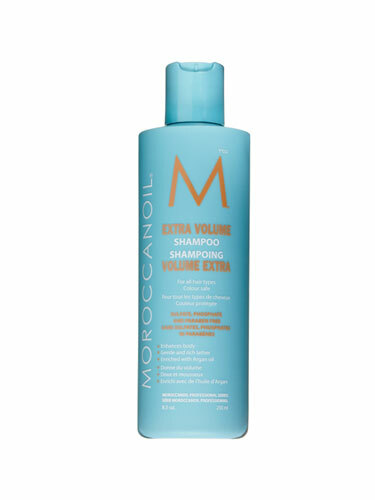 Apply Moroccanoil Extra Volume Shampoo to wet hair and gently massage into scalp. Rinse and repeat as needed. For best results, follow with Moroccanoil Extra Volume Conditioner.